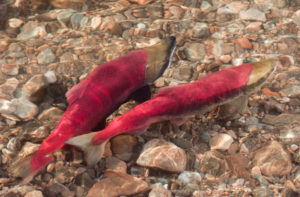 Securing key properties for conservation, building spawning beds and creating passage for salmon to complete their 1000 km life cycles, reconnecting the Okanagan River floodplain, helping farmers to co-exist with wildlife, residents caring for nature in their neighbourhoods and more! Read all about the groundbreaking first round of projects funded by the South Okanagan Conservation Fund. Over $400,000 was allocated to seven projects to ensure sustainability and quality of life in our communities. SOSCP Program Manager Bryn White is pleased to announce the completion of a Second Edition of the essential “how-to” guide for local governments and community groups interested in establishing dedicated funds for local community sustainability and environmental conservation projects. “This guide contains critical information for anyone looking for capacity to ensure a sustainable future for their community. A healthy economy, clean air and water, tourism, agriculture, robust property values and attractive, investable communities – all rely on a healthy environment.” says White. 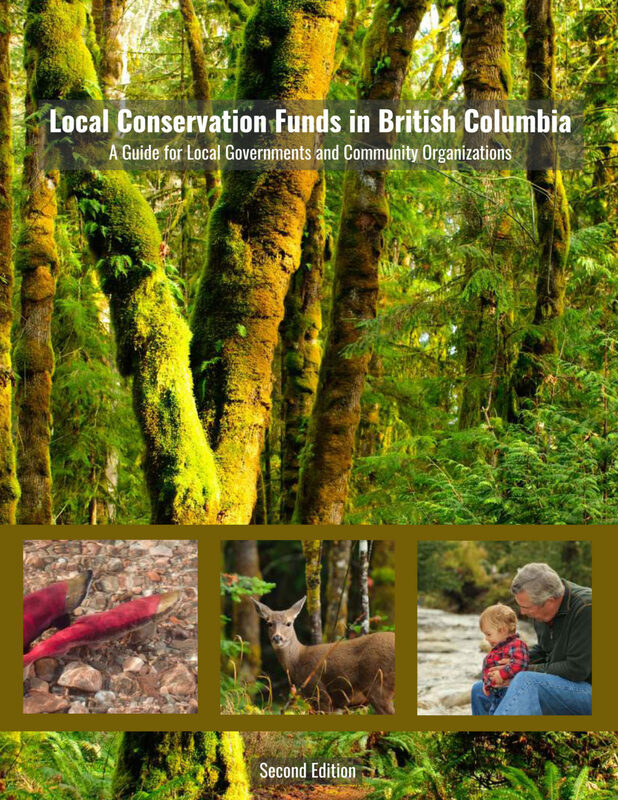 Local Conservation Funds in British Columbia provides current case studies and successful examples of campaigns and experiences from around the province, including additional resources to support local governments and community organizations. “Conservation funds are game-changers for communities, and this document is vital to achieving success. We are grateful to our funders and supporters for the ability to share this knowledge and experience with others.” The guide and additional support resources are available on the SOSCP website here. In August 2017, the RDOS Board approved membership for the volunteer Technical Advisory Committee to ensure that proposals to the South Okanagan Conservation Fund receive an expert technical review based on fair assessment of merit and project effectiveness, providing a high level of accountability and recommendation of technically appropriate proposals to the RDOS Board of Directors. In response to advertisements in local newspapers and via social media, 13 candidates submitted resumes for the 7 positions. Selecting volunteers for this committee proved to be an extremely challenging and competitive process; a decision made very difficult by the many impressive applications received. The Committee was finalized with seven candidates representing a balance of academic, technical and practical experience, including over 170 years of combined experience, 13 post secondary degrees/diplomas and 5 are members of professional associations. The newly appointed Committee met in November to review applications and will be providing recommendations to the RDOS Board in early December. A brief biography of the Committee members can be found here. 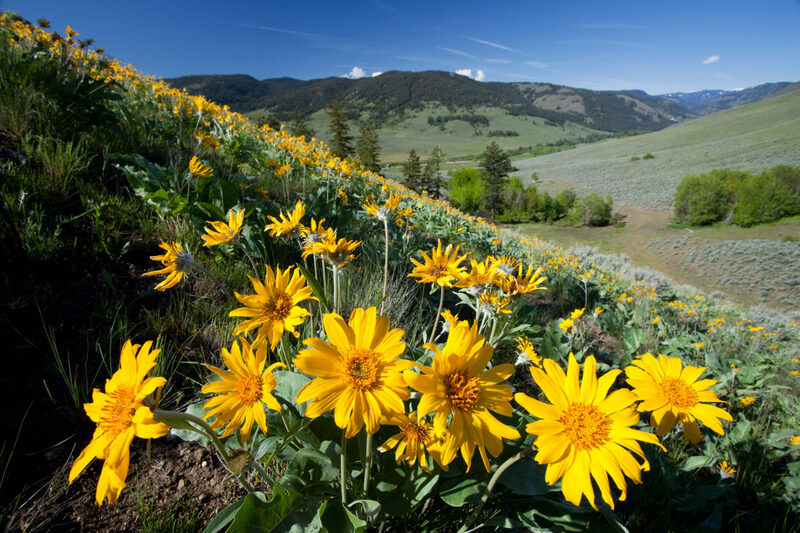 The Regional District of Okanagan- Similkameen (RDOS) is seeking qualified individuals to volunteer as members for the newly established South Okanagan Conservation Fund Technical Advisory Committee (TAC). The South Okanagan Conservation Fund is in support of undertaking and administering activities, projects and works that include, but are not limited to, water, environment, wildlife, land and habitat conservation efforts to protect natural areas within participating areas of the South Okanagan which includes Electoral Areas A, C, D, E and F of the Regional District of Okanagan-Similkameen, along with the District of Summerland, Town of Oliver and City of Penticton. Committee members will be appointed by the RDOS Board of Directors, based on qualifications, expertise and experience. The TAC’s role is to provide sound, expert, technical review of annual project proposals and provide recommendation to the RDOS. The TAC is not a decision making body. Land and natural resource management, environmental studies, environmental science, hydrology, hydrobiology, ecology, or conservation biology. Willingness and ability to attend and participate actively in Committee meetings and/or field tours. Technical Advisory Committee members may serve a maximum of three years, with some members serving one or two year terms initially to ensure membership continuity. 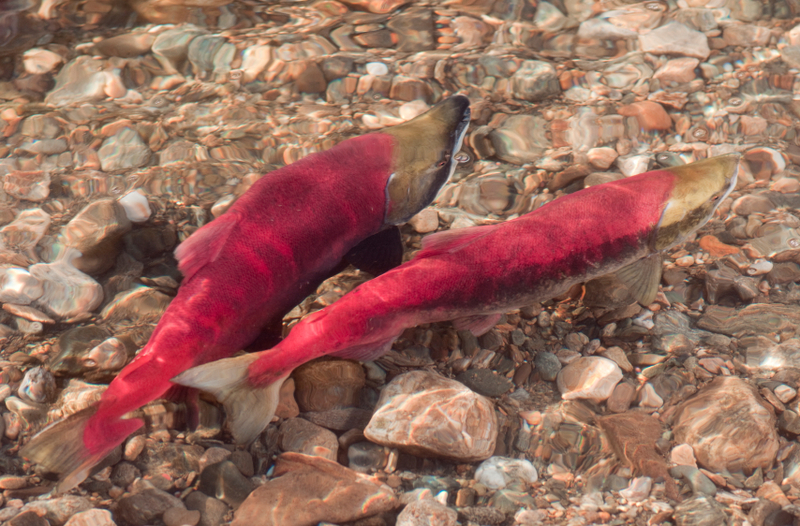 More information on the South Okanagan Conservation Fund Terms of Reference, including the TAC Terms of Reference and the Conflict of Interest Guidelines, can be found here. Visit South Okanagan-Similkameen Conservation Program website for further information. The South Okanagan Similkameen Conservation Program (SOSCP) is pleased to announce that after a successful public assent process in December of 2016, the Regional District Okanagan Similkameen (RDOS) has approved an Environmental Conservation Service bylaw that is the basis for establishing the South Okanagan Conservation Fund. With public opposition less than 1% the RDOS moved to adopted the bylaw, which will requisition up to a maximum of $450,000 each year towards conservation efforts to protect natural areas within the participating areas of Summerland, Penticton, Oliver and RDOS Electoral areas A, C D E and F.
The South Okanagan Conservation Fund is held and overseen by the RDOS in a dedicated account earmarked for conservation only. Community groups and organizations apply to the Conservation Fund to support their environmental conservation projects. Local government decision makers make the final decisions related to expenditures. SOSCP has been engaged to assist with the administration of the granting process, and a committee of technical experts with clearly established criteria will also help ensure that projects proposed are technically sound, and contribute to important conservation goals. 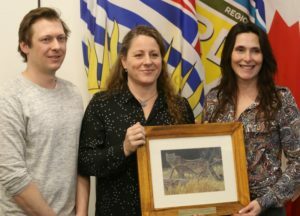 The RDOS was recognized with an award of excellence for establishing the South Okanagan Conservation Fund, by a working group of local governments from across BC and the BC Ministry of Environment that have been collaborating to enhance the protection of species and habitats at risk. This is the first year the award has been offered to acknowledge the efforts of local governments in protecting biodiversity. For their role in fulfilling that mandate, SOSCP Program Manager Bryn White did not hesitate to nominate the RDOS. SOSCP presented the award on behalf of the working group to the RDOS Board at their February 16th Board meeting. From right to left: RDOS Board Chair Karla Kozakevich, SOSCP Program Manager Bryn White, and SOSCP Chair and Nature Trust of BC Okanagan Land Coordinator Nick Burdock. On July 7th 2016, the Regional District Okanagan Similkameen Board gave third reading to the service bylaw to establish a Conservation Fund for the South Okanagan region. This is a significant step in the establishment of the fund. The bylaw is now at the Inspector of Municipalities for approval, then it will come back to the RDOS Board for adoption, and out for public assent later this fall. The RDOS has chosen to undertake an Alternate Approval Process for public assent which is a cost effective alternative to a stand-alone referendum. If fully adopted, the South Okanagan Conservation Fund will requisition $10 on average, per household, per year, in the City of Penticton, District of Summerland, Town of Oliver, and the Electoral Areas of A, C, D, E and F. Potentially $450,000 could be raised each year to support conservation efforts in the South Okanagan, and conservation organizations can apply each year for funding to support local conservation work. SOSCP Program Manager Bryn White is overjoyed by the decision to take the bylaw to third reading. “The ability for these monies to leverage resources and funds from outside the region is significant. The benefits locally will be immediate,” White says referencing the positive social, environmental and economic impacts seen in the east and west Kootenays after funds there were established in 2008 and 2014. Read more about the proposed Conservation Fund at http://www.soscp.org/funding-conservation/. At the City of Penticton Council meeting Monday June 20th, Penticton Council vote unanimously to join in to participate in a Regional Conservation Fund for the South Okanagan that will raise and allocate dedicated funding for conservation projects. “Environmental and conservation issues know no political boundaries” was one of the compelling reasons Council re-considered their decision to go forward with a stand-alone fund for Penticton and join a regional initiative that would have rural electoral areas and municipalities cooperating towards clean air, water, wildlife and open spaces. The benefits of such a fund will be felt throughout the region and across generations. The regional service bylaw comes back for reading to the RDOS Board on July 7th, 2016. The Board intends to garner public assent through the Alternate Approval Process which is the most cost effective option as opposed to a referendum outside of a regular local government election cycle. SOSCP is sharing information and success stories from the Kootenay Conservation Program’s success in this realm. 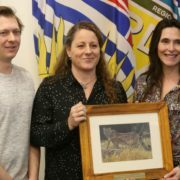 The KCP established the first conservation fund of its kind in Canada first in the Columbia Valley in 2008, then in the Kootenay Lake area in 2014. Over the past 7 years more than 1.5 million has been granted to local organizations in support of 70+ conservation projects. The South Okanagan Regional Conservation Fund is poised to raise $450,000 per year every year for the next five years. At the April 28th RDOS Planning and Development Committee meeting, Area F Director Michael Brydon made a motion to establish a Conservation Fund that would be a sub-regional service in the South Okanagan. The proposed fund would requisition $10 per household per year on average for a period of five years to support conservation projects. The fund is proposed to be guided by a Technical Committee, and be application-based so organizations could apply to undertake the work. Local government directors would make final decisions on fund allocations. The motion followed a presentation by SOSCP Program Manager Bryn White, with special guest David Hillary former Program Manager of the Kootenay Conservation Program. Hillary’s presentation highlighted the process of establishing the first Conservation Fund in Canada both in the east and central Kootenays, including the environmental, community and financial benefits such a fund has brought to the region. The motion for a sub-regional service in the South Okanagan is an invitation to all five electoral areas and four member municipalities, and Brydon’s comments were encouraging an opportunity for the Board to think and act regionally, thereby increasing their total impact by working together. The motion was brought forward yesterday May 19th at the RDOS Board meeting for agreement, but was removed for consent and deferred to the second Board meeting in June. This provides an opportunity for individual councils to discuss their participation in the proposed sub-regional service, or perhaps an opportunity to establish stand-alone funds of their own.